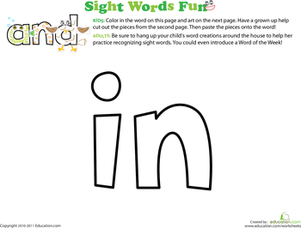 Looking to make sight words more fun? 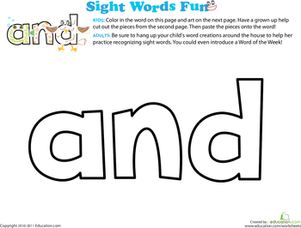 Preschoolers will dress up the word "and," a classic sight word. 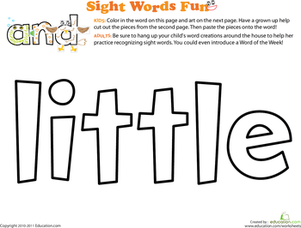 Assist kids by cutting out the cute decorations on the second page of this worksheet, and then allow them to take it from there! 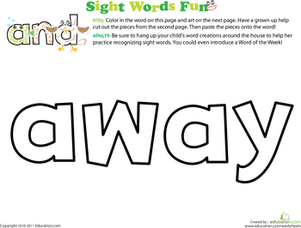 The options are endless, and displaying this unique piece of art will give their reading skills a major head start. 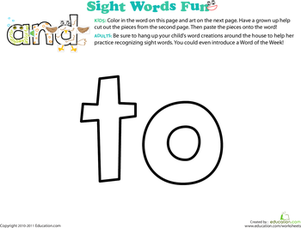 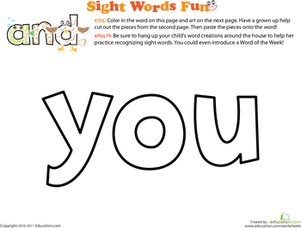 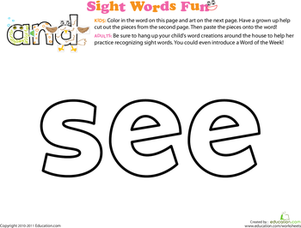 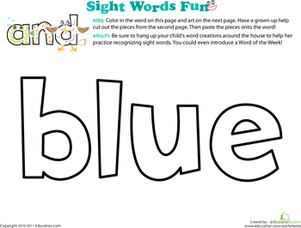 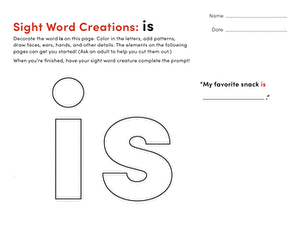 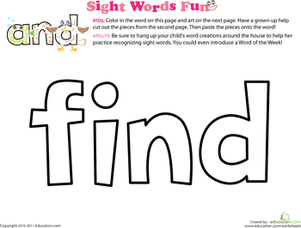 For similar worksheets, make sure to check out the rest of our Sight WordsPrintables!